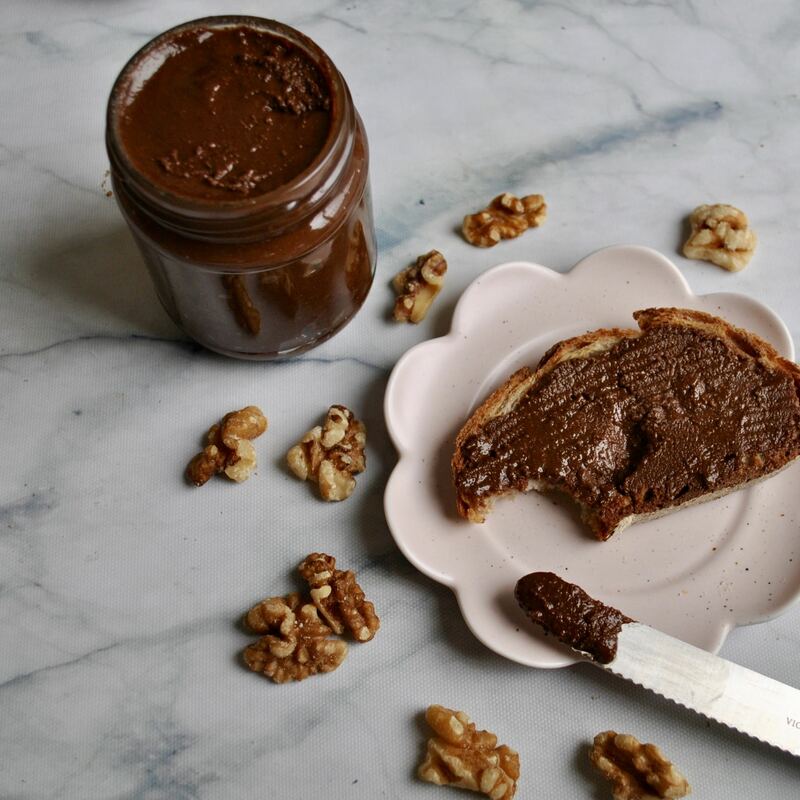 As a child, nothing made me happier than a jar of Nutella and a spoon! 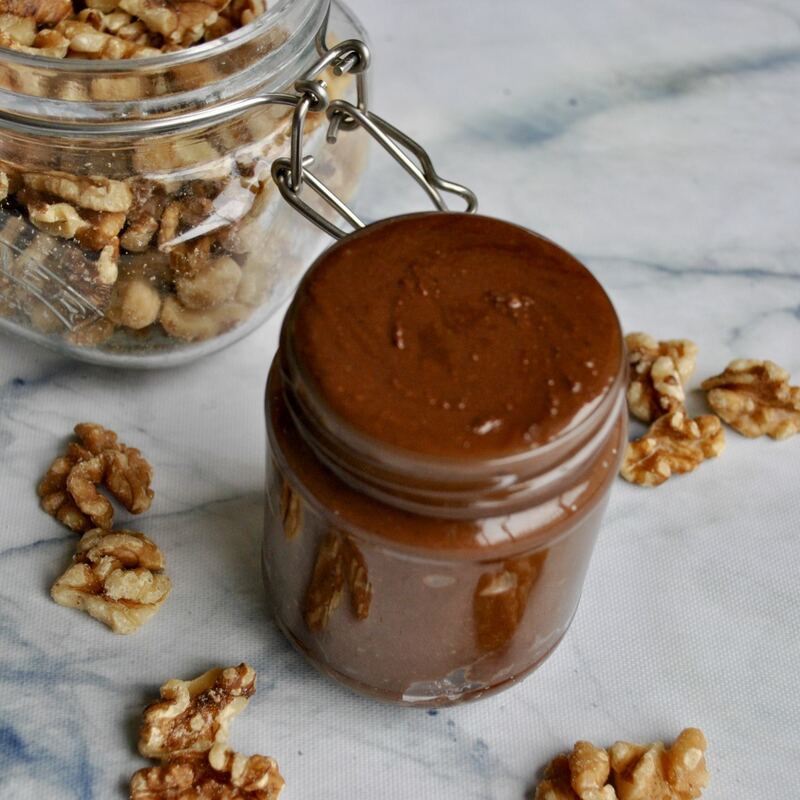 So I’ve put my own healthier spin on the traditional chocolate spread in this recipe, with this smooth walnut-based alternative that won’t leave you in a sugar-slump. 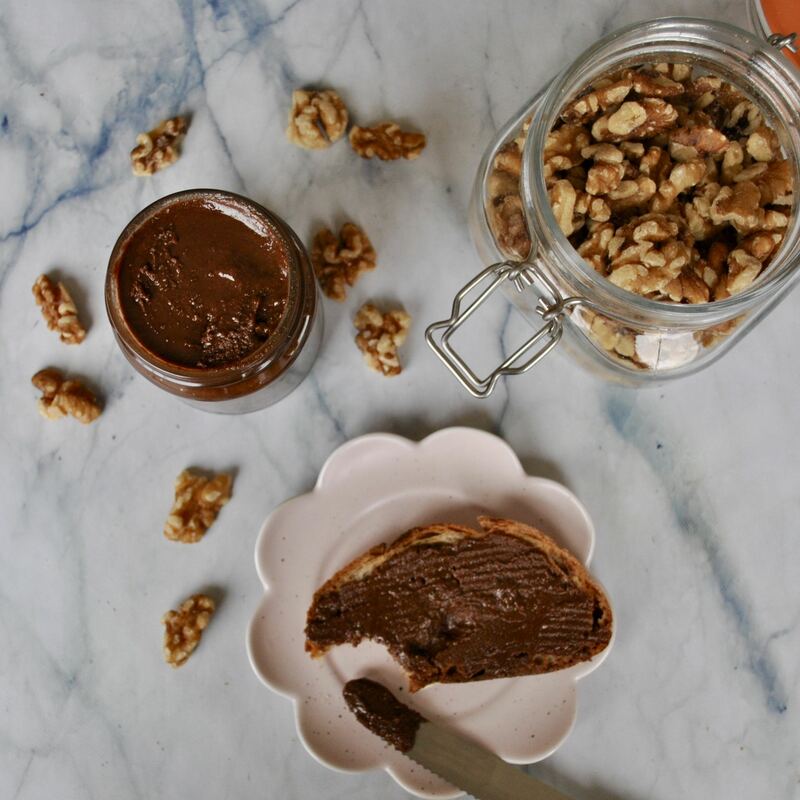 The slight bitterness of walnuts is perfectly complemented by a splash of maple syrup for a sophisticated twist on a cupboard staple. This simple recipe only calls for 5 ingredients and can be whizzed up in less than 20 minutes. It’s made from wholesome ingredients, including California Walnuts which are rich in minerals such as calcium, iron and magnesium, as well as an array of vitamins and Omega-3 essential fats. Roasting the walnuts for a few minutes brings out their natural oils for the most divine outcome. It tastes amazing spread on sourdough toast with a few raspberries on top, or smothered over a slice of my Banana Bread! 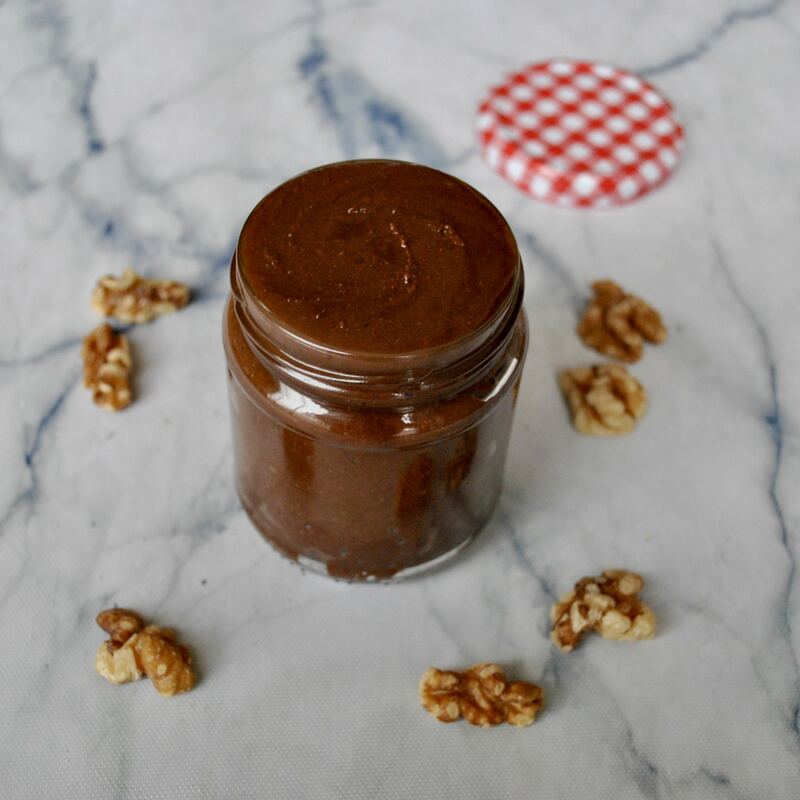 Alternatively, grab a spoon and eat it straight out the jar – I won’t judge! Preheat oven to 180C. Roast walnuts on a lined baking tray for 6–8 minutes, then leave to cool for 5 minutes. Add walnuts to a food processor and blend on low for about 10 minutes until a butter is formed, scraping down sides about every 60 seconds. Meanwhile, melt the chocolate on a low heat over the stove. Add the melted chocolate and all remaining ingredients to the food processor and blend until completely combined, which takes about 2 minutes. Transfer to a glass jar and allow to cool with the lid off, then store in the fridge for 1-2 weeks.